You've been looking over page, after page, after page......of wedding invitations. Each one looks more and more like the last one. You've looked at enough cute hearts, monograms and floral embossing to last a lifetime but you feel as if you're never going to find the right invitation for you...one that fits your style. You should heed that feeling. It is telling you that the traditional (and sometimes boring) wedding invitations just are not "you." You are looking for something unique, fresh and yet beautiful. You want something other than your typical script font. It's a pretty safe bet you will not find what you are looking for in any invitation album. There are many custom invitation designers that are very willing to use your inspirations, your personalities and your ideas, put them on paper and create the perfect invitation that perfectly reflects you as a couple. Most likely when you were dreaming of your wedding day it didn't look just like everyone else's wedding. That would be almost like going to a party and having on the same outfit as someone else. Ugh! You want your wedding to reflect you as a couple and to be unique and just for you. Then why would you want to use invitations that are the same as anyone else could have? Sure you can go to Office Depot and order some beautiful invitations. They will work fine and look wonderful, but they won't be "you." There are other reasons to choose custom invitations. Are you having a one of a kind wedding? Is it maybe a destination wedding, a big three day weekend event? If you are having a wedding that is out of the ordinary, choosing to hire a designer to create your custom invitations will show your guests you have amazing style in every sense. You will receive personal attention if you choose to have your wedding invitations custom designed. You definitely will not receive that if you order them through a catalog or online. You will also get years of experience from your designer which will help to relieve much of the stress associated with invitations. 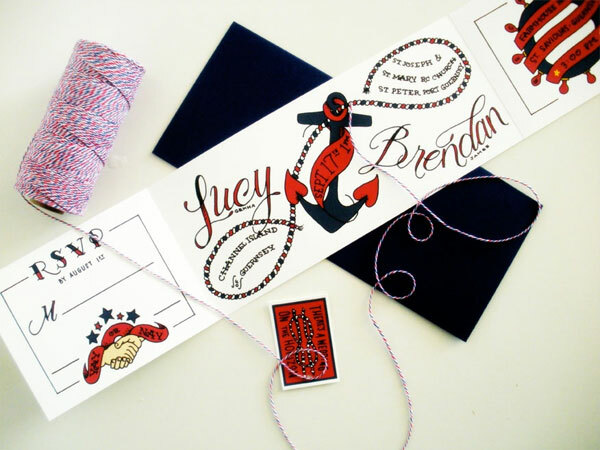 If you are even halfway considering having custom invitations created, then you care about details. Maybe even a little too much. A custom invitation designer will be just as passionate about making your invitations as perfect as you are. A good place to start looking for a custom invitation designer is WeddingInviteLove. They have many designers so you are sure to find one that will mesh well with your personal style.